Blog7: Why your next presentation matters! 7: Why your next presentation matters! A conference presentation, like any other event where you present, is a great possibility to showcase who you are and what you do. However, it sometimes looks like not all presenters recognise the opportunity, assuming a presentation may not count for much or achieve a lot. How sad! And what a mistake! Presentations matter! 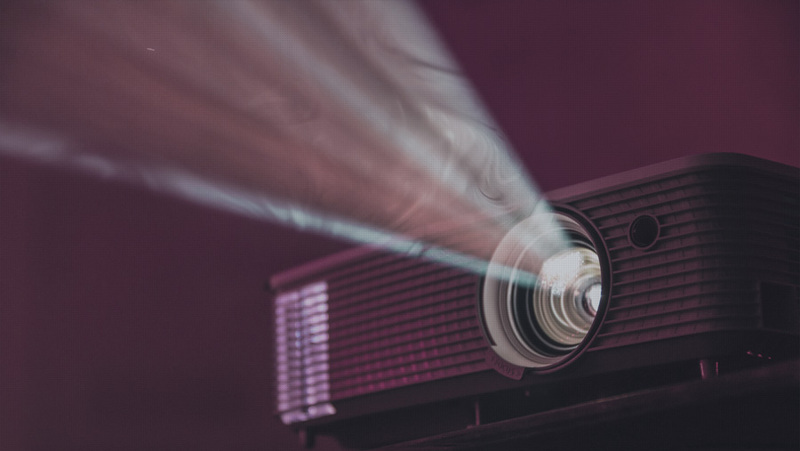 Read our five reasons why your next presentation should be a good one. It does matter what you present and you should not miss the opportunity to present well! You’ve got so much to gain from it! A conference presentation is the perfect chance to present to your colleagues and peers what your research is about. You can give them insight into the interesting work you are doing. You have the possibility to explain your research questions, your methods, and most of all, your interesting findings to other experts and interested colleagues. It is a unique event, as we do not always have the chance to speak for such a length of time about our research. Since your audience comes to listen, a research presentation gives you the chance to explain your research to them so that they better understand what you are engaged with. It will help you to gain understanding and support for your work from important people in your field. And often, someone from the audience will come with a question or a comment, which can help you to further develop your research. A presentation is a prime medium to communicate with your peers, who will be attending your session to learn about the latest research in your field. Your talk can claim your spot within your research field and connect your name with a specific topic. Thus, when you present your work well, you can really score points and win your audience’s attention and support for your work. It’s worth doing! Presenting your research is often seen as the main aim of most academic presentations. Indeed, this is why your colleagues and peers attend your talk in the first place. But, it is not the only benefit for you and your audience that results from your presentation. Your audience will not only listen to what you say about your work – they will also get a perfect impression of YOU. Yes, we know that can make you feel a bit uneasy because you think your work should be the focus of the presentation. However, it’s a fact that your audience is also watching, studying and judging you while you are giving your talk. Through your presentation, you give your colleagues insight into your personality, your way of communicating and just how you behave. They will have the possibility to form an opinion about you and your style of working. When looking back at our own academic careers, we remember quite a few really good presentations. We do not only remember the specific details of the presentations, but often we enjoyed them so much because they were given by memorable personalities. Not only did they deliver great content, but also gave us a deep insight into the person behind the research and their unique characteristics and beliefs. It adds to a presentation’s authenticity and dimension. After all, a great research presentation is something very personal and cannot be divided from the person presenting. You really can score important points on the personal level when you deliver a talk well! Whenever you attend a conference or another academic meeting, you will also – consciously or not – present your institute: “Ahhh, that person is coming from this institute”, is what you can almost hear your audience think. Thus, you are a personal ambassador for the work, quality and culture of your home institute. Your employer has a vested interest that you represent them well. It helps their reputation. And as a good ambassador, you will have the chance to go on even more conferences in appreciation of your professional performance. Imagine how it feels to sit in the audience of a conference session and a speaker from a very prestigious institute enters the stage. You would probably expect the speaker to perform exceptionally well because of their affiliation. But what happens if this is not the case? What if the speaker looks unprepared and delivers a poorly-crafted and half-baked talk. Wouldn’t you be surprised in a negative fashion? Conversely, what if you hear a speaker from an institute unknown to you, and are deeply impressed by the presentation? Wouldn’t you connect this performance directly to the speaker’s affiliation? Thus, as a presenter at external meetings you can gain substantial credibility for your home institute. When you deliver presentations well, you will become a sought-after ambassador of your institute. A presentation is a social event. You will always have an audience that is listening to you. They come – mostly – just to hear you, or if not, they at least are willing to listen to you while there. This is a gift. You have the stellar chance to inform an audience about your work, yourself, and your institute. You can interact with them. They come with positive expectations and it would be a pity to disappoint them. One of our course participants told us once that she had been to a conference recently and had listened to a talk from a well-known researcher in her field. She had looked forward to the talk. But to her disappointment, it was delivered in a very sloppy and disrespectful manner. The presenter did not really care about the audience, and obviously hadn’t made too much effort to adjust a previously held talk for this occasion. Our course participant was deeply let down and felt that the presenter didn’t show any respect to her or the rest of the audience. She wouldn’t want to attend another talk by this presenter. 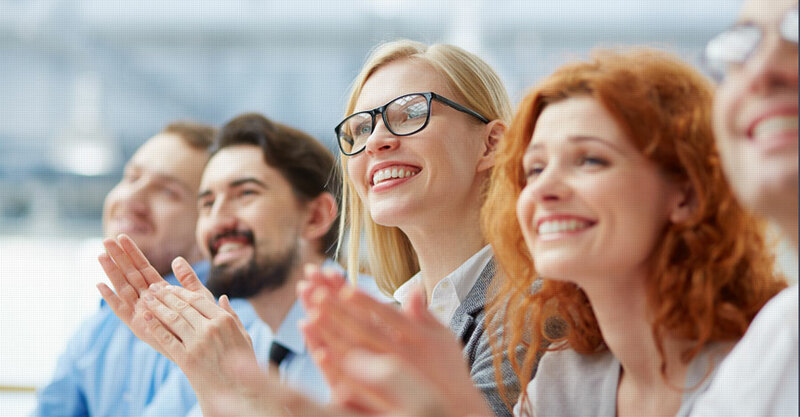 Clearly, presenting in front of an audience that’s prepared to spend time with you and listen to you should be rewarded with a good presentation. They will be grateful and remember you for much longer! A presentation is more than one item on a to-do list that can be ticked off once completed. It can be an instrument to achieve a goal or a door-opener to get somewhere we didn’t think we could get to. In fact, most of the time we present for a specific purpose. We want to achieve something. We want to make an impact. It could be that you want to convince your colleagues and peers of some new techniques they should apply to address a certain problem. It could also be that you show them a new way of how to get around a problem that has not been solved so far. You’ll have an intention with your talk. Another aspect to any presentation is, of course, also an opportunity to place yourself on the academic job market. Here and now you can show what you do and how you do it. You can impress potential project partners that you would be a valuable addition to their team. You can also try to convince a potential employer at an institute to hire you, because you do great research and are able to talk about it publicly. Our own careers are good examples of the power of presentations. We remember clearly when we were looking for new jobs after our contracts at a Danish university came to an end. Our institute had organised a large international conference. We had prepared an impressive conference talk to showcase what we have done in our postdoc studies. During social events after the talk, we approached colleagues to let them know that we were looking for jobs. It did not take long after the conference for us to be invited to job interviews at a Dutch institute. The Dutch colleagues had been at the conference and had heard our talk. A few months later, we moved to the Netherlands to continue our academic careers there. The presentations had helped us to secure the next job and move forward with our careers! A presentation is far more than just a summary of your research- it can be a very powerful tool to make an impact and achieve a goal. Being unprepared and careless when giving a conference presentation means you are forfeiting a great chance to make an impact. You could use the opportunity to tell your audience how good your work is, what kind of character you have, how you work, and what a great place your institute is. The ball is in your hands. Don’t forget, even if you do not care too much about making a superb impact, your presentation will always leave an impression. A presentation is a complex package of messages that are implicitly and explicitly communicated. It is a mixture of scientific content, quality of work, and personality. It tells a lot about you. Don’t waste the opportunity! Your next presentation can mean a lot to you and others – it matters! Blog post #3: How to cope with stage fright? Want to receive more information on how to successfully present at conferences? Sign up to our newsletter and you’ll be regularly informed about new postings and free resources.